Jonathan teams with tennis great Martina Navratilove in a game of doubles aimed at exposing a deceitful tennis pro and the stockbroker who is blackmailing him. Upon his release, a prisoner plans to fund neo-Nazis with stolen money. So a submarine voyage is simulated in order to transport him to his contact. As Barney taints the water system with a mind-numbing drug, Jim is captured and put on trial, where he must discredit an enemy scientist. The Syndicate is bribing a major politician, codenamed "C6", through their operatives Harry fife and his chief killer Jenkins. The IMF must find out who C6 is and get the evidence against him. Fearing a IMF man he had killed got too close, Jenkins recommends someone new, Jean Royce, to make deliveries. Barney takes Jenkins place while Casey becomes Royce. Fife gives Casey a bag of explosives to deliver to C6 to silence his payoff demands for good. Barney finds out but is exposed and wounded, but warns Jim and Willy...but an accident destroyed the tracer. Jim allows Jenkins to escape and return to his boss, then visits Fife himself as a Syndicate head and tells him that C6 must stay alive. 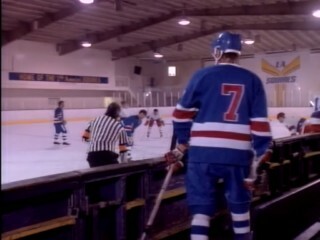 Fife sends Jenkins to warn C6 and reveal Casey is a cop, and Jim traces the call and Willy saves Casey just in time. While in Greece, Jonathan and Jennifer race to save their lives and the future of Hart Industries when a European business magnate seeks to destroy them during a cross-country car rally. 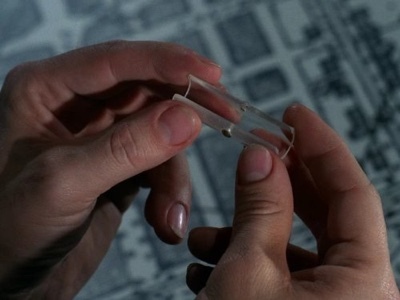 Jim and a female agent pose as scientists who have invented a new drug in order to replace a real drug that turns people into willing slaves. 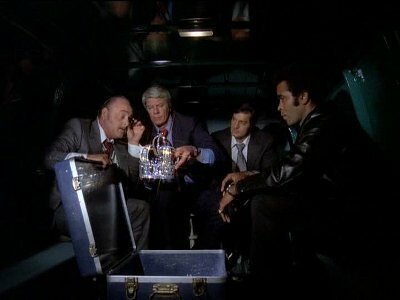 The Marnsburg Crown Jewels were brought to the U.S. and stolen from the UN Building - Jena Cole, a thief, is believed responsible but have no leads on the location of the jewels. The IMF must recover the jewels before the hostile Marnsburg government makes a case out of it. Jena is to turn the jewels over to the Syndicate, which financed the theft. Barney manage to get close to Jena and she finds he has plans to the Marnsburg Consulate. Meanwhile, the IMF return the "real" jewels, claiming the first ones were fake and confirming it throuigh her diamond fence (a IMF replacement). 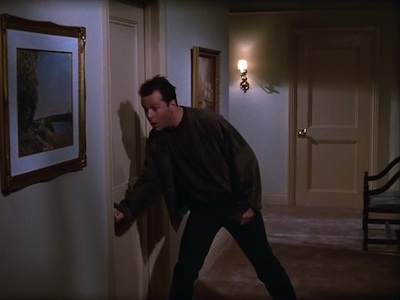 Jena and Barney team up to get into the consulate and steal the "real" jewels and turns them over to Jim the creditor, so Jena tries to fake him out for substituting her supposedly fake gems for the "real" ones, then sneak out. The Syndicate shows up and figures out which gems are which, and the police take everyone, including Jena, into custody. 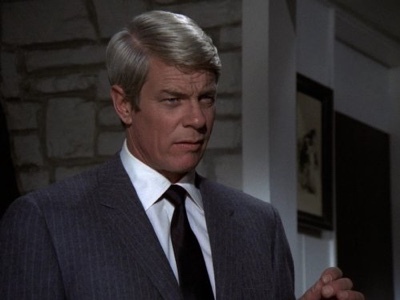 Syndicate man Dutch Krebbs controls a large gambling operation and an undercover IMF agent with a camera-watch disappeared, presumably with recorded evidence against Krebbs. The IMF must find the agent's body and the watch. 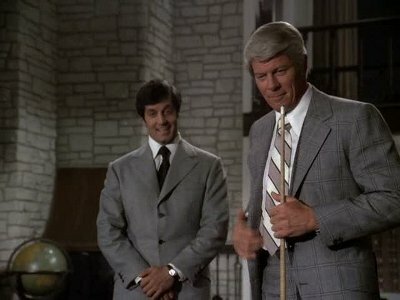 Jim poses as a pool player (being helped by Barney) to attract Krebbs' attention - Krebbs plans to use Jim to rip off a rival racketeer's best shooter, but Jim's girlfriend Mimi (formerly Press' girlfriend, now working with the IMF for revenge) reveals he's cheating to Krebbs, who believes Jim can't lose. Meanwhile the IMF rob Press, Krebbs' lieutenant, twice and Press has to make up the loss - Barney promises he can get the money by betting against Jim but Jim wins - Krebbs is accused of cheating and believes Press sold him out and orders a hit. 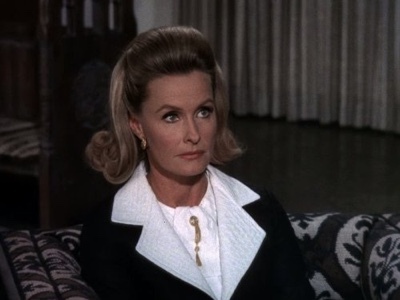 Willy, working in the mob, tells Press about the watch and Press goes after it to get the evidence to bring down Krebbs and the team recovers the watch and takes them into custody, and Mimi signs on with the IMF. Jim and his team rescue a prisoner and place him in a spot his captors will never think to look - a conspicuous location right under their noses. Dave and Maddie try to recover their working relationship while dealing with the romantic writings of a man obsessed by one woman. Kroll and Stevens run the Northeast Syndicate and the IMF must bring them down. In '37 the two of them killed a rival mobster, hid the body, and killed the witnesses, so the IMF needs to get Kroll to lead them to the remains. 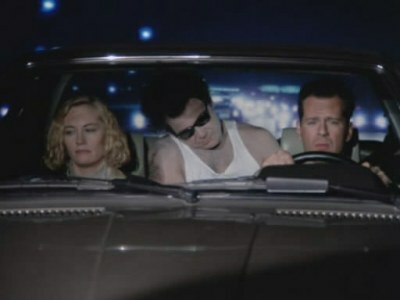 They grab Kroll, drug him up, and cosmetically alter him to look like he was in '37. Then they dump him on a Hollywood set and convince him through incredibly elaborate means he is in 1937 on the day of the murder and the rest of his life is a dream. Overwhelmed by the sheer amount of detail, Kroll and "Stevens" reenact the murder at a cafe, which gives them the location so that Barney and Willy can find the real body in the real cafe's basement. The IMF fade away, leaving a reaging Kroll to confront his partner as he flees the 1937 New York set and wanders into an adjacent Old West street. Frank investigates a district judge's courtroom after it is booby-trapped with a powerful explosive. The main suspect is a recently paroled ex-convict with a history of similar bombings. Upon questioning the bomber's ex-wife, Frank and Ed find she's more interested in getting charity than the fact that her ex-husband may be up to his old tricks. 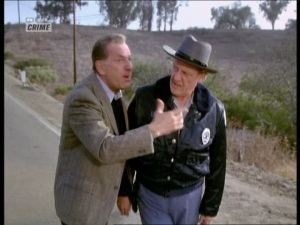 Frank and Ed discover the bomber has a showgirl girlfriend on the side. She has the perfect alibi for her boyfriend, but Frank and Ed wonder if she's really just covering for him. A sick old man asks Dave and Maddie to be the "expert" witnesses at his murder. 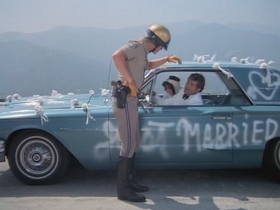 When an unsecured load of defective baby food spills onto the freeway, Ponch and Jon must race against time to find two of the missing cases. 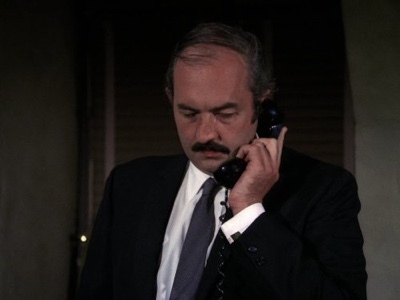 Quincy stakes his reputation on his forensic findings, which suggest that an influential businessman is responsible for the death of his estranged wife. A German shepherd, bought as a family pet, savages and kills a young girl. Quincy investigates and finds out that there are absolutely no rules or regulations regarding dog trainers. He decides that he wants to do something about this but soon realizes that not only is this near impossible but that there is also more to this particular situation then it first seemed. 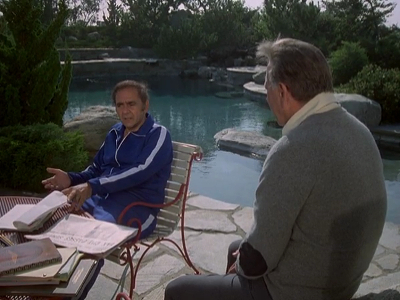 Quincy is asked to cover for a GP working in a small community north of Los Angeles. There he becomes involved in a case of medical negligence after the death of a local man. A top children's TV star, and a friend of Quincy's, is shocked when his son dies of a drug overdose. He had no idea his son was even on drugs and is angry when he finds out that a doctor prescribed the drugs to him. 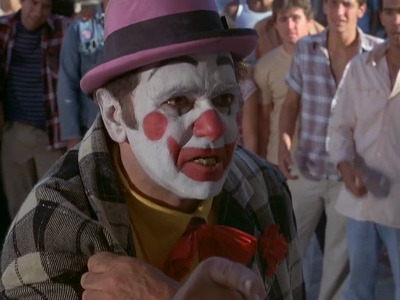 Quincy and the star, Brock, go to visit the doctor and find an enormous queue of addicts waiting outside the surgery. They are all waiting with money in hand to buy a prescription from the doctor. Quincy and Brock set about trying to shut this doctor down and to help a young would be doctor in his attempts to get some sort of drug counseling support system set up in his college. 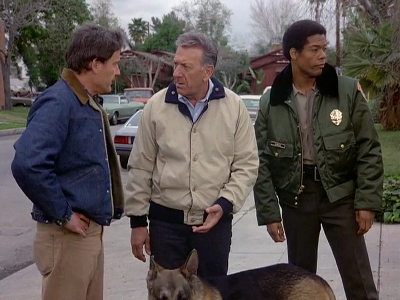 Series pilot: Ponch and Jon chase a sports car theft ring. #27 - Murder by S.O.P. 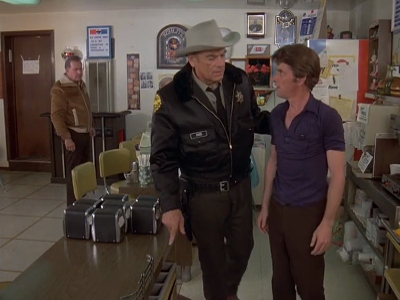 On his way to a Forensic Pathologist convention in Sacramento, the Sheriff of a small town stops Quincy on the road. He was trying to stay awake by sticking his head out of the window. 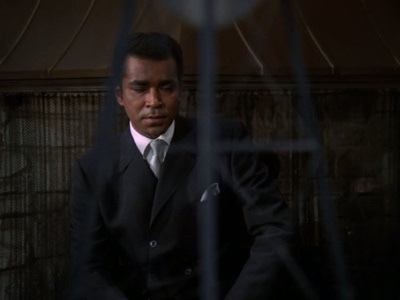 The Sheriff decides to put Quincy in jail for his own good. That night a fire starts in the cells and four men die. The towns' authorities call all the deaths accidental but Quincy, doing some of the autopsies to help the local Dr. is convinced that one of the victims was murdered. 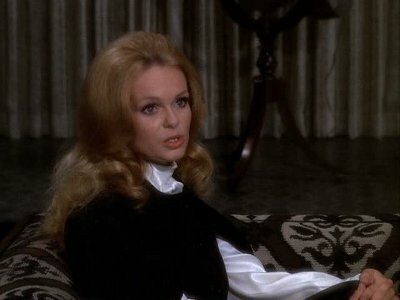 Quincy investigates the death of an eccentric millionaire, whose lavish penthouse was protected by a supposedly impenetrable security system. 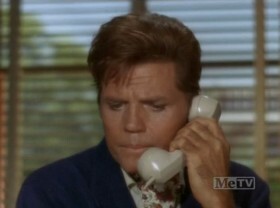 J.R. tries to talk Marilee Stone out of doing business with Cliff. Ray and Donna take a trip to Maryland. 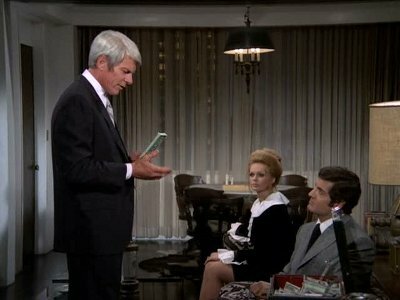 Cliff tries to convince Pam to join him in the offshore venture. Lucy asks Peter Richards to pose as a model with her at Southfork. Jenna Wade tells Bobby that Charlie loves him. Marchetta shows up while Bobby and Jenna have lunch. Edgar Randolph gives J.R. secret information on the bids for the upcoming lease auction. Marchetta confronts Jenna and Bobby. He announces he's Charlie's father and shows them her birth certificate with Bobby's name. Ray and Donna uncover Randolph's secret from the past which J.R. has been blackmailing him. Katherine pays Marchetta for the meeting he had with Jenna and Bobby. Marilee Stone takes J.R.'s advice and pulls out of the offshore deal with Cliff. Katherine tries to stop Pam from talking to Bobby. Jenna explains to Bobby her reasons for having listed him as the father of record on Charlie's birth certificate. The IMF must bring down Colonel Hans Krim, the head of a mercenary army who has a ton of loot in gold bars hidden away in an inaccessible enclave. Rollin enlists while Jim and Cinnamon pose as gunrunners with Willy and Barney hidden in their truck. Rollin fakes finding a cache of gold and is then tortured into revealing it. 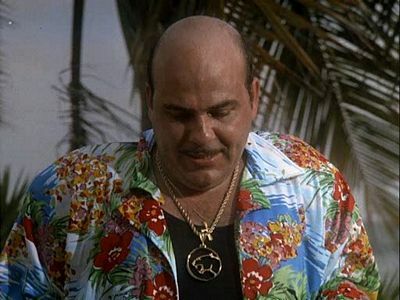 Krim "kills" Rollin and then coerces Jim into moving it without revealing the secret gold to his aides. 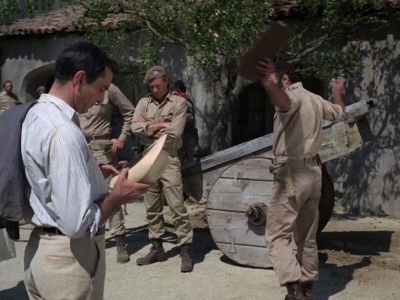 Krim tells the guards to ignore the truck with what he believes his gold, unaware that Barney has melted the real gold belonging to the army, melted it down to remove it from the vault, and put in the truck. 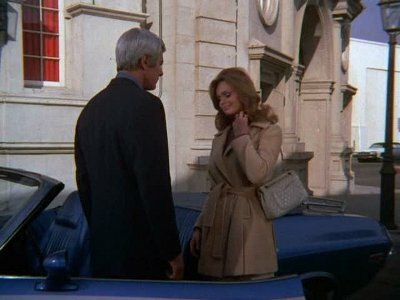 While Krim's suspicious aide Gruner kills him over the betrayal, Jim drives away with the gold and the hidden IMFers, immune to being searched because of Krim's last orders. 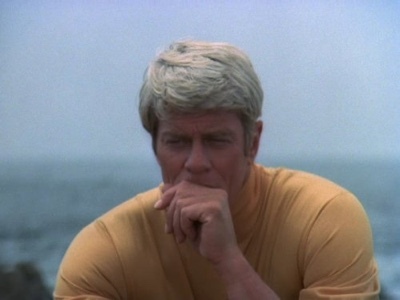 When a ruthless businessman is blown up in a boat explosion, Five-O has many suspects to choose from, and they use psychological methods to determine the guilty party. Syndicate boss Delaney controls the waterfront and eliminates any potential witnesses - the IMF have 72 hours to bring him to justice before the grand jury closes. 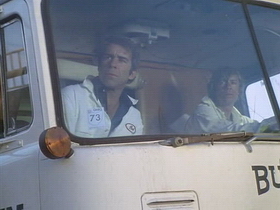 Barney infiltrates Delaney's waterfront organization and sabotages it, while Jim is a captain of a Norse ship, The Orion, on which Delaney once killed a man. Casey poses as the dead man's daughter and tries to implicate Delaney. 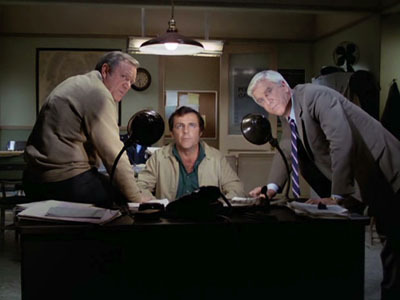 The team capture Saunders, Delaney's killer, and Barney then claims to be employed by Delaney's Syndicate liaison Morgan and forces Saunders to set up a meeting on-board the Orion. 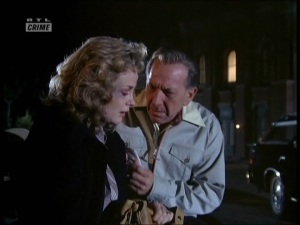 Saunders "escapes" and warns Delaney, and they kill Morgan. The Syndicate head Mr. C is also present, lured to the ship, and witnesses the killing. 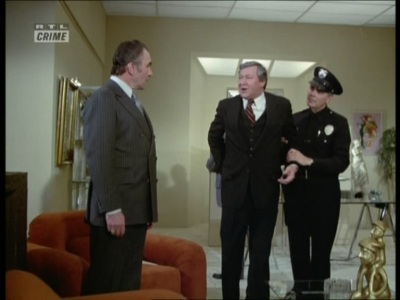 He leaves one of his men to kill Delaney but the police arrive and Delaney testifies in return for protection. 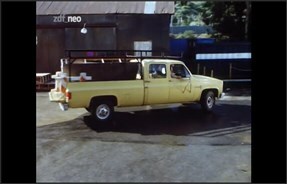 A civilian impersonating a CHP officer terrorizes female drivers and lands Jon in hot water with Getraer; with his motorhome in the shop for repairs, Ponch temporarily moves into Jon's apartment. Maddie's confused and worried: Dave has insisted on throwing a bachelor party for Walter and a huge formal wedding for her. Syndicate man Jay Braddock has corrupted promoter Paul Mitchell into working with him - they had middleweighter Loomis killed when he refused to throw a fight and the IMF must bring both men to justice. They do so by convincing Mitchell that his partner plans to kill him. Barney and Jim steal $37,800 from Braddock and then as a rival mob offer the partners the same amount to buy out their fighter Novick. 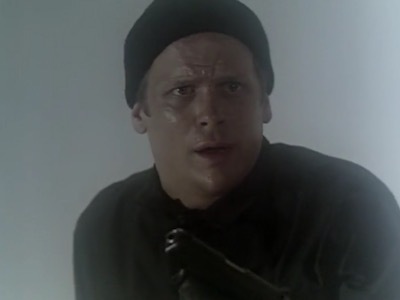 Braddock decides to have Novick killed but the IMF intercept the call and send in Jim as the hit man. 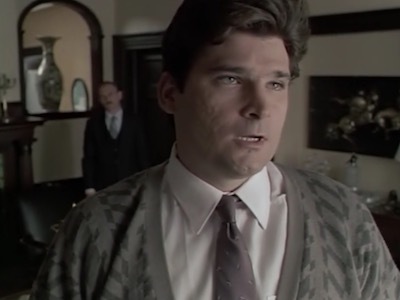 He "kills" Novick with a firebomb along with Susan Mitchell (actually Casey in disugise), the promoter's daughter. Mitchell tries to back out as the IMF pressure him, but Braddock messes things up by offering to kill Jim to reassure Mitchell. He manages to escape and they arrest both men. McCall reluctantly agrees to help the wife of a mobster find her kidnapped son, who's a pawn in a game of revenge against his father. Maddie returns to Los Angeles by train and spends the time daydreaming about her future and pouring her troubles out to a sympathetic fellow passenger. Dave and Maddie keep company with a popular corpse and visit a graveyard when a man seeking a bodyguard drops dead in their office. Mickey Kostmayer is captured when a Company operation fails, and he's turned against McCall using drugs and torture.